Join the Balkan River Defence team this April 15-20th for a wild week of whitewater and river defence on the rivers of Romania during BRT4! A whitewater kayak can be a powerful tool. It can take you deep into inaccessible canyons, remote stretches of wild whitewater and rivers of astounding beauty and power. From the seat of a kayak you can experience incredible landscapes and amazing river experiences. A kayak can take you to the places that fuel you. It can also be a tool to protect the rivers and water systems that nourish you and nourish our earth. Right now, more than ever, those wild places need help. They need protection. They need paddle-wielding warriors. What is Balkan River Defence? As kayakers, we are privileged to experience the wilderness that a boat and paddle take us to. But this access also means we are the first people to notice, discover, or identify the threats to our waterways, like dams, pollution or resource extraction. If you haven’t already heard of them, Balkan River Defence (BRD) is a kayaker-founded river conservation NGO, dedicated to defending the last wild rivers in Europe’s Balkan Peninsula. Founded on the simple premise that people who paddle the wild rivers of the world also have a responsibility to protect them, this crew of international kayakers are changing the way river conservation is approached, proving that river conservation doesn’t have to take place in offices, and can take place on rivers too. Seeking a way to take action in defence of rivers, professional kayaker, ex-Olympic rower, and biologist, Rok Rozman turned a simple idea into the biggest river conservation movement in Europe. He had enough of listening to complaints about the funding, organization, and bureaucracy needed to stop 2.700 proposed dams being built on the last free-flowing rivers of Europe. He wanted to do something simple and effective that would give people an option to join in and get involved directly. So, he took his kayak and his friends (some cameras and beers too) and paddled as many of the threatened rivers of the Balkans as possible, naming it the Balkan Rivers Tour (BRT). 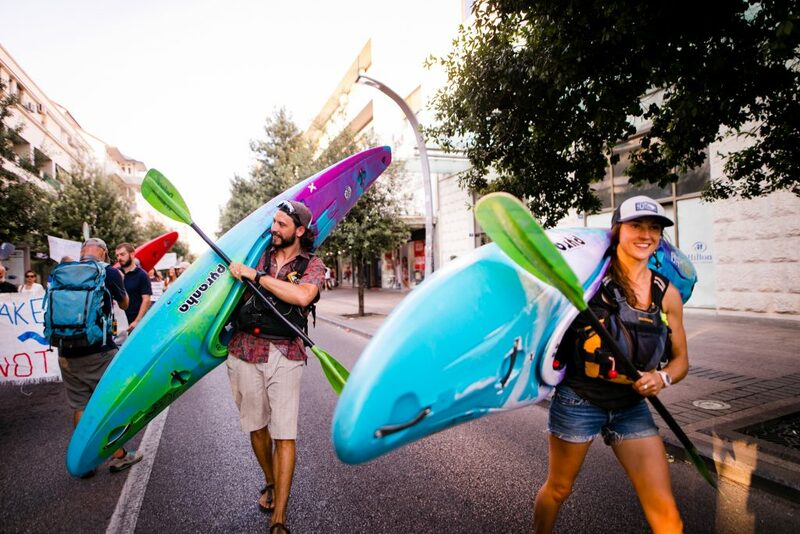 Over the course of one month in 2016, they paddled 23 rivers in 6 countries; through Slovenia, Croatia, Bosnia and Herzegovina, Montenegro, Macedonia, and Albania. BRT created an atmosphere where a fisherman and a farmer, a scientist and a kayaker, could join together to develop solutions to the threats their rivers face. What was created was a wave of momentum that prompted the involvement of Patagonia in what is now their biggest global environmental campaign of 2019; Save the Blue Heart of Europe. BRT also caused a huge surge in international media coverage, helping to spread the word about the wild rivers that still exist in Europe, the dangers they face from hydro development, and the locals fighting to protect them. From Germany to the US, Canada to Albania, word was getting out. The last wild rivers of Europe are in danger and paddlers are helping to protect them. 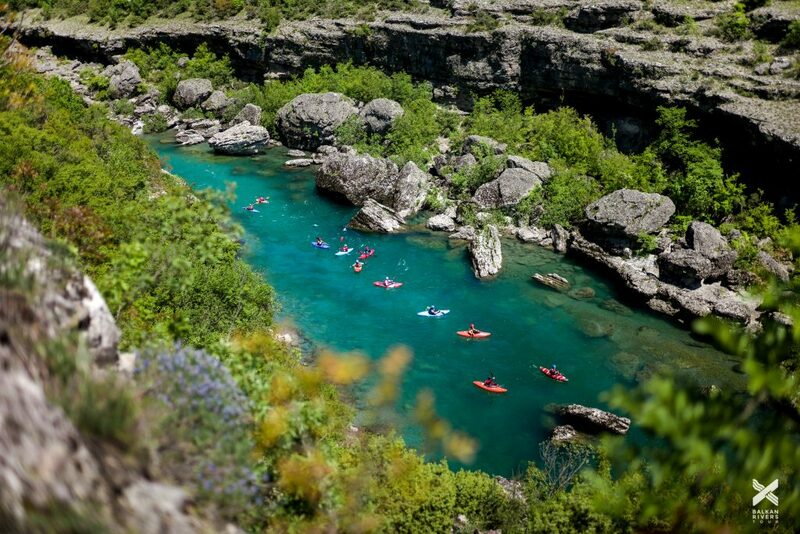 Today, Balkan Rivers Tour has turned into an annual paddling action, and the river conservation movement has evolved into Balkan River Defence (BRD) – a registered NGO in Slovenia. It is a version of grassroots activism where science and river conservation blend with kayaking and adventure sports. Their mission: Reveal the remaining free-flowing rivers and intact ecosystems of Europe; Support a community and network of local river activists; Expose hydropower as an unsustainable and destructive form of energy production; Provide alternatives using science, education, creativity, and adventure sports. Team Pyranha paddlers Rok Rozman and Carmen Kuntz lead the team of crazy artists, activists, paddlers, and partiers who make up Balkan River Defence. They spend fewer days on the river each year so that they can spend more time behind the computer, organizing events, protests, petitions, and paddling actions. They have created a formula that makes nature conservation inclusive, fun, and light. And effective. Together with a greater network of river conservation NGOs throughout the Balkans, they have helped stop 6 dams. They are currently touring with the feature-length documentary that BRD has created, telling the story of the rivers of the Balkans. The Undamaged takes viewers on the wild ride that is Balkan Rivers Tour and shows them the rivers and villages of the Balkans, from the seat of a whitewater kayak. That’s simple. Join us on tour! 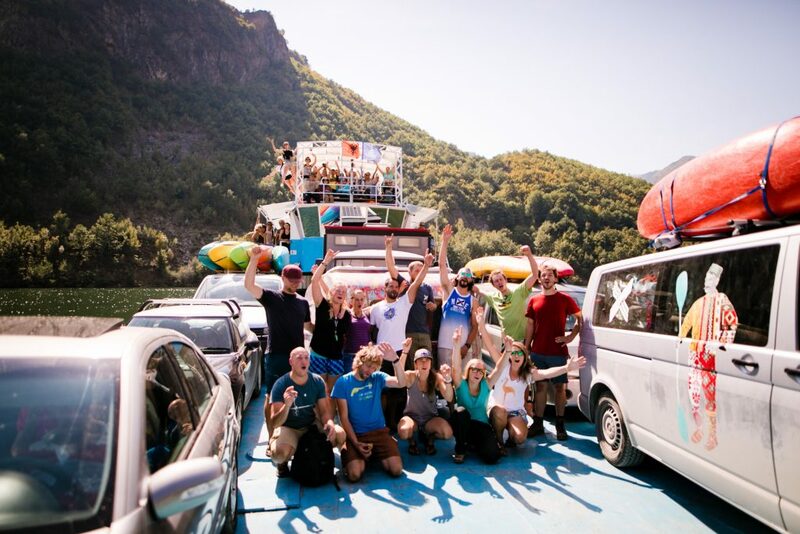 Book your holidays in accordance with one of the three weeks that will make up Balkan Rivers Tour 4 and paddle, protest, and party with us in Romania (April 15-20), Slovenia (July 7-13) or Bulgaria (Sept 24-29). Help us show local, regional, and national decision makers that there is more value in attracting paddling tourism to their wild rivers, than damming them. That tourism can be a sustainable source of income for their economy. But it requires respect and conservation of their rivers. Or, you could start your own grassroots river conservation action. Imagine if everyone came together to protect their home river, home watershed, or lake? If everyone started their own river conservation movement, all the mini river defence actions would link up to create a big web of locally-enforced, river defences. There are no rules. There is no template. Show the world what makes your river special and tell decision makers that you won’t give it up to pollution, hydropower, or development. Not ready to dive in head first just yet? Then stand with us, support the work we are doing through donations and support. Imagine if each little group of kayakers banded together to protect their local watershed? Imagine the web of river defenders that could connect across the world! I imagine the rivers would say thanks and that each day spent out there on the water, would taste and feel sweeter. The rivers give us so much, it’s not hard to give a little back. To learn more about BRD, follow us on Facebook and Instagram, or check out the videos on Vimeo where the atmosphere and personalities of the Balkans are reflected. Check out the dates and locations for Balkan Rivers Tour 4.